Our series of wireless fire alarm units. Radio communication with no setting required. Operating callpoint triggers alarm on all units. Radio communication. No setting required. Operating callpoint triggers alarm on all units. 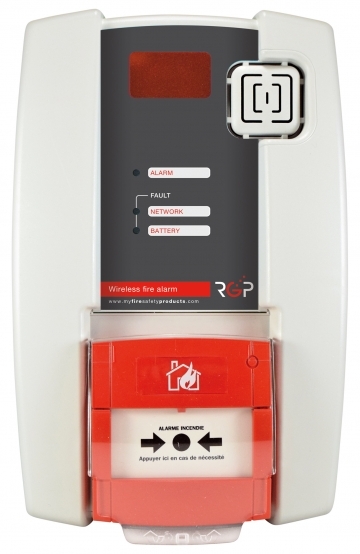 RGP fire alarm unit combines three fonctions in one box: manual alarm activation, sounder and beacon. 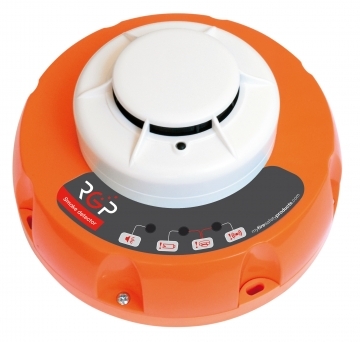 This detector enables to raise automatically the alarm in case of fire, triggering the alarm to every wireless fire alarm unit in the network. 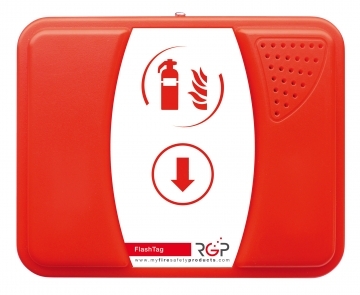 When alert is triggered, flashtag indicates where you can find an extinguisher available to fight the fire. 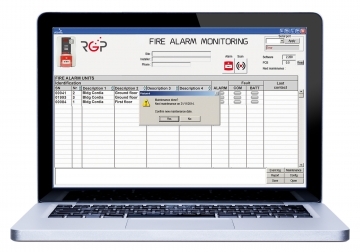 RGP Vision software enables to identify easily the activated callpoint in a wireless fire alarm network. Plug and play - Events mode.